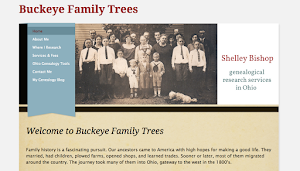 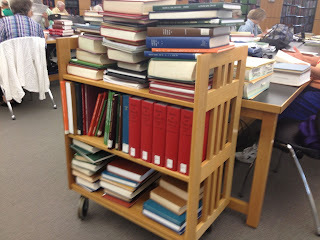 It seems like there’s never too much of a good thing in the Genealogy Center at the Allen County Public Library. 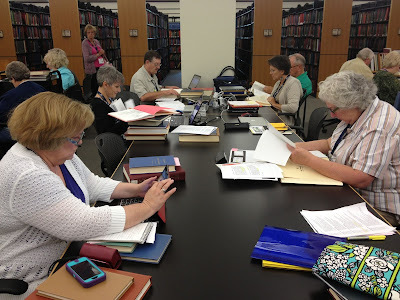 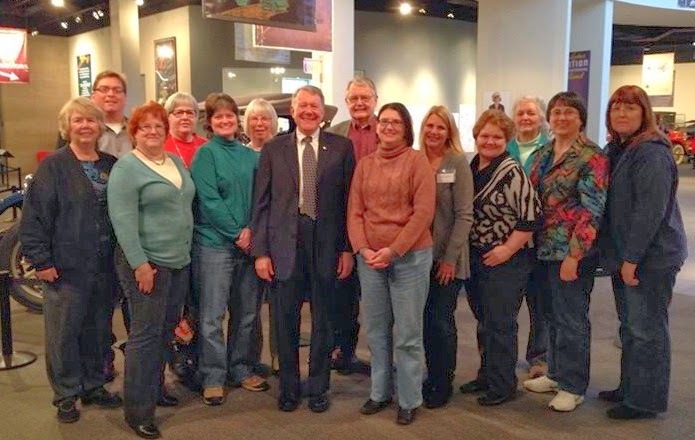 Even with hoards of eager genealogists descending on it all at once—like they have this week for the FGS 2013 Conference—library workers and volunteers have kept a busy but cheerful profile. It’s not as though we haven’t put them to the test. 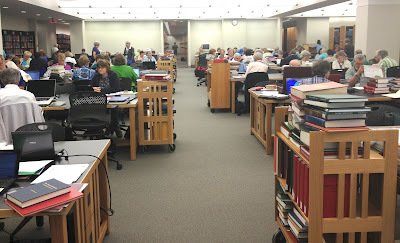 Swarms of visitors mean answering countless questions, giving lots of impromptu tours, patiently explaining how to use the copier/scanners, finding obscure reels of microfilm, and above all, re-shelving endless piles of books. The library was so busy on Wednesday that the volunteers actually ushered people around to help them find an available seat. 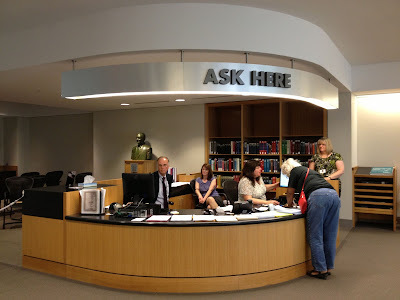 But in spite of the crowds, the mood inside the Genealogy Center remained upbeat and friendly, as people poured through books and periodicals in search of information that might bring them closer to understanding their ancestors. The library is offering extended hours this week—until midnight, for the truly hardy—for conference attendees. 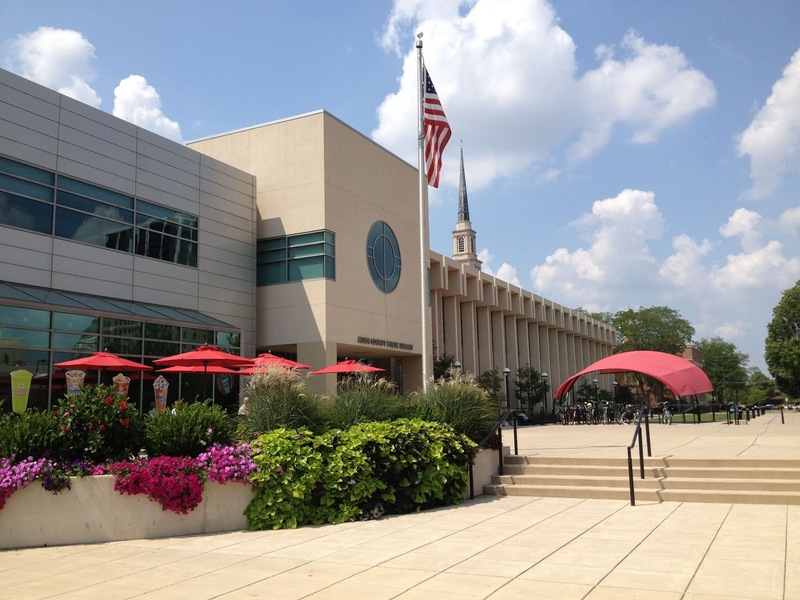 Hats off to the Allen County Public Library for anticipating and accommodating the needs of their visitors!